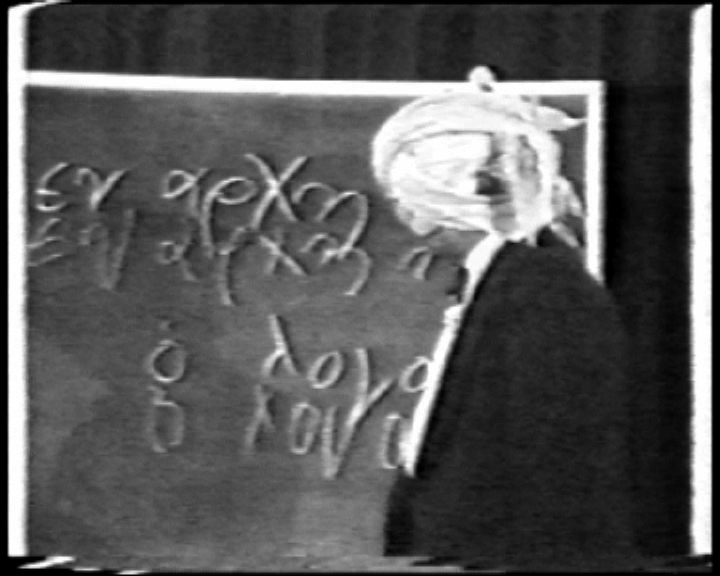 Taking his act to variety shows and making appearances at Radio City Music Hall, the New York mystic Kuda Bux gained fame and notoriety in the 1930s and 40s for his dramatic demonstrations of eyeless sight. 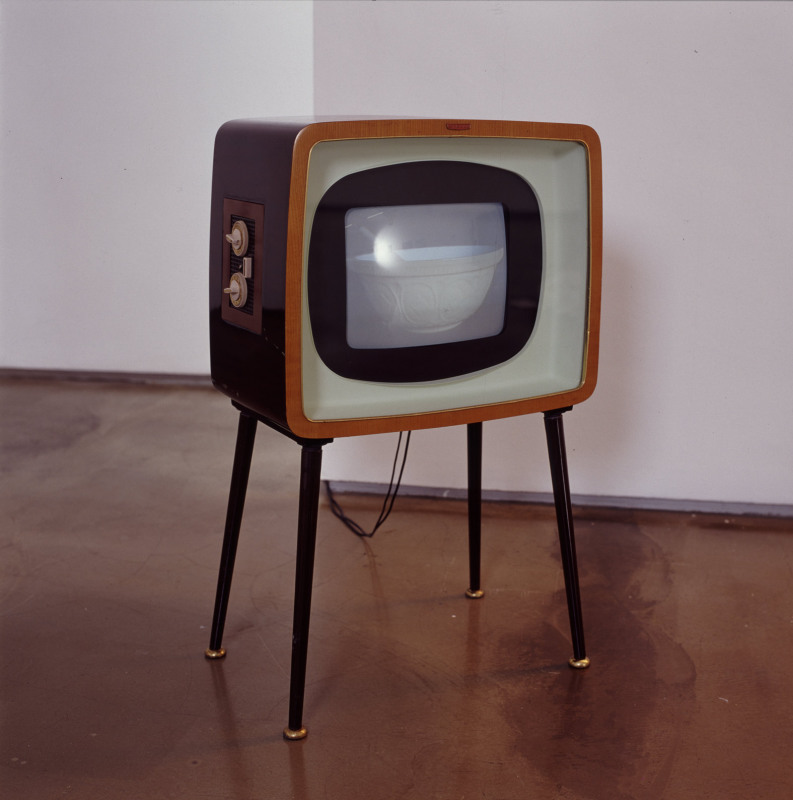 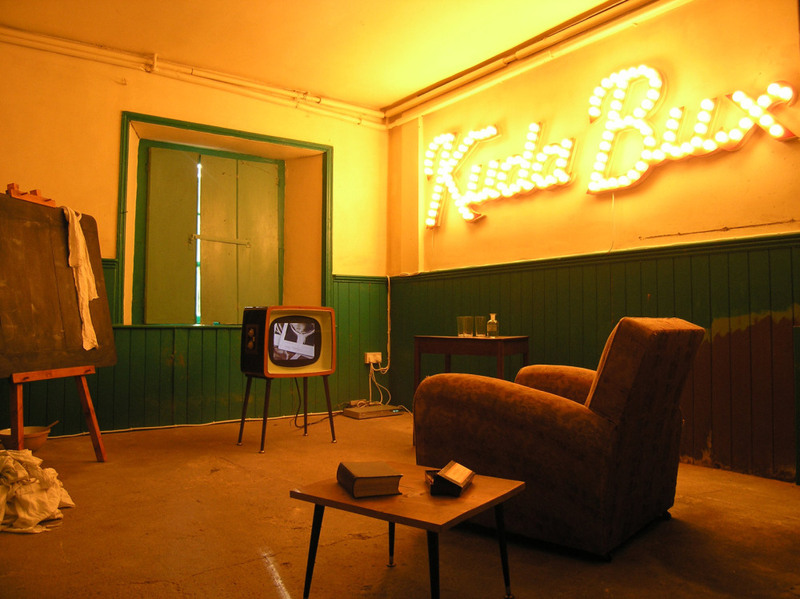 Viewed from a 1930s armchair Kuda Bux's acts are restaged and played through a 1950s television within a theatrical open set. 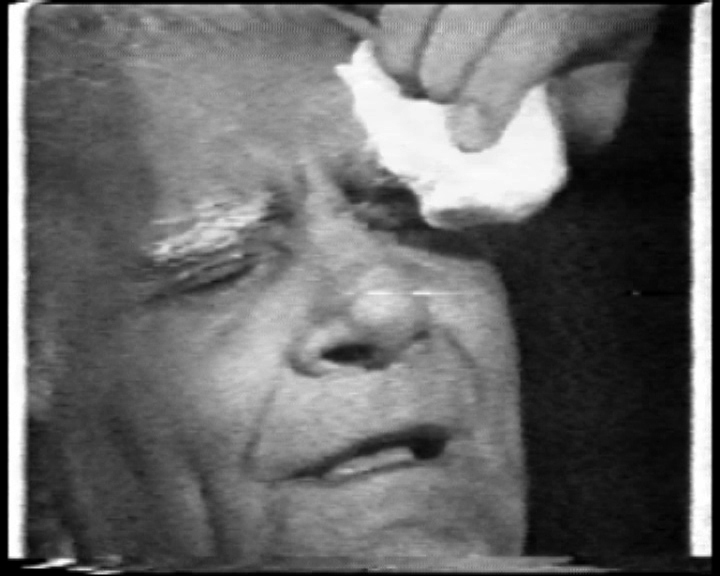 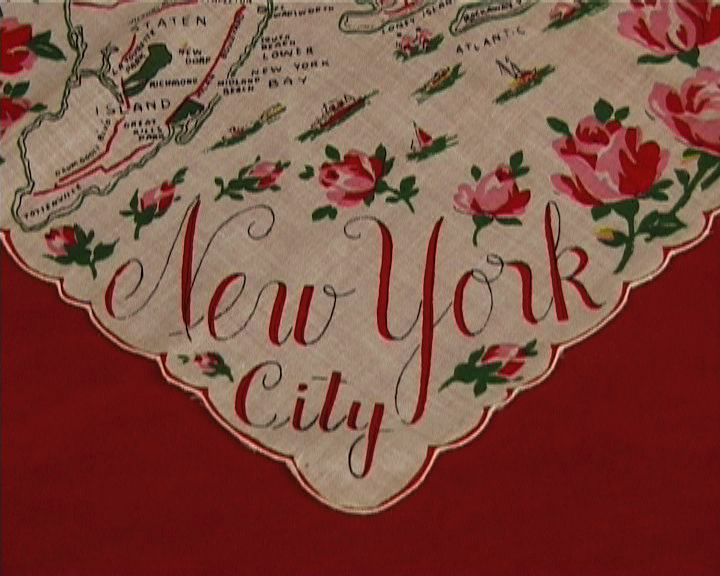 Taking his act to variety shows and making appearances at Radio City Music Hall, the New York mystic Kuda Bux gained fame and notoriety in the 1930s and 40s by his dramatic demonstrations of eyeless sight. 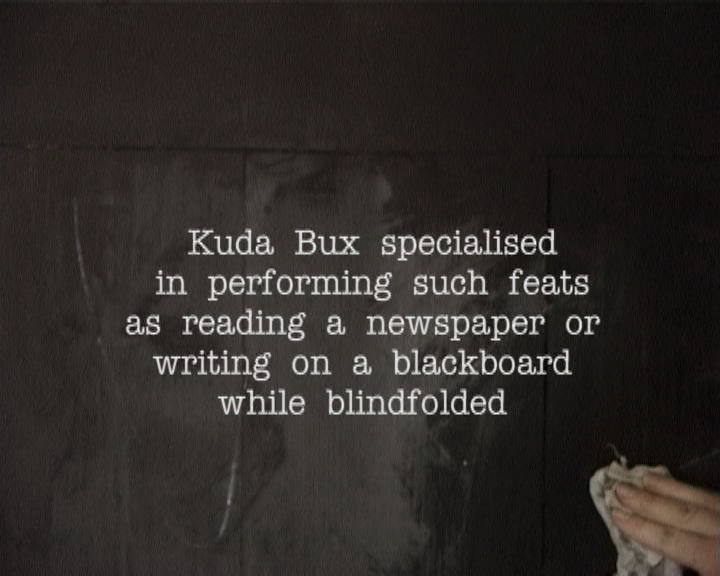 Kuda Bux specialised in performing such feats as reading a newspaper or writing on a blackboard while blindfolded. 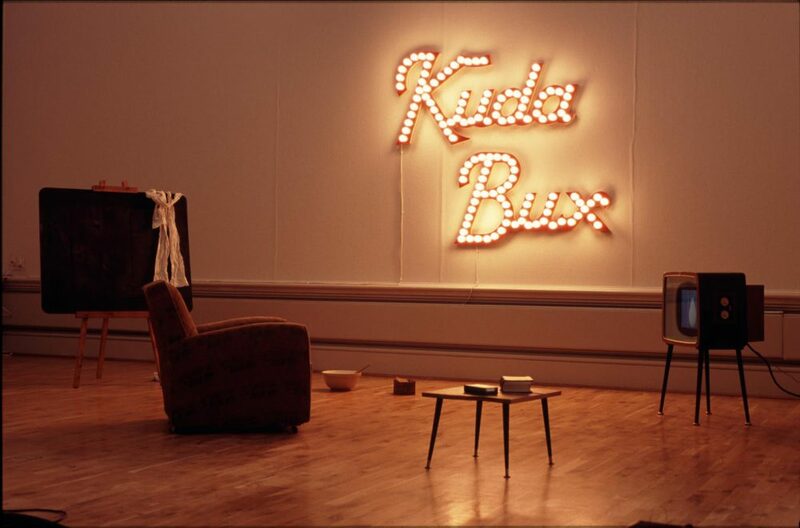 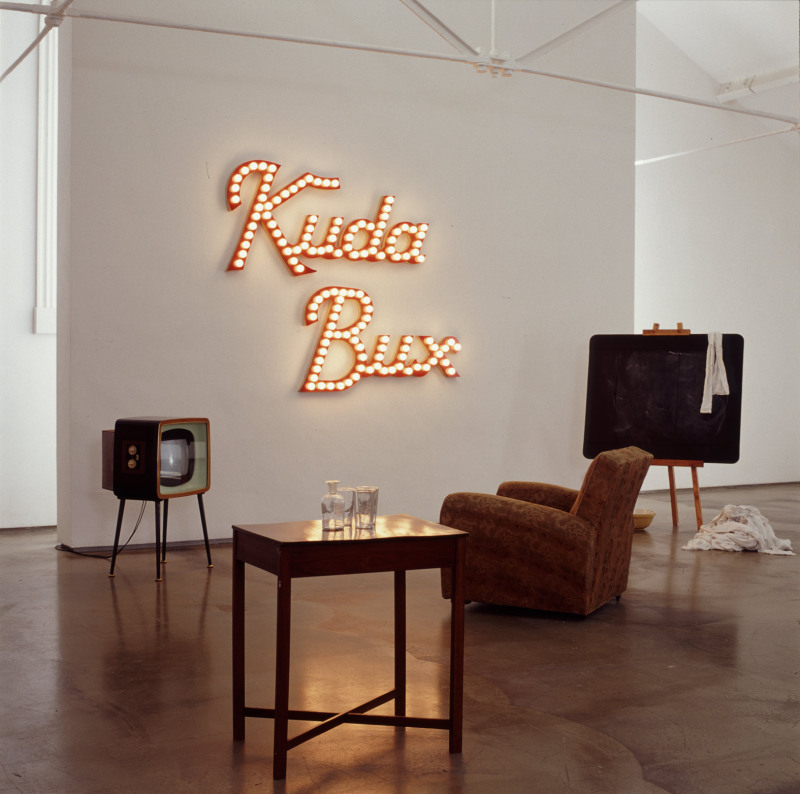 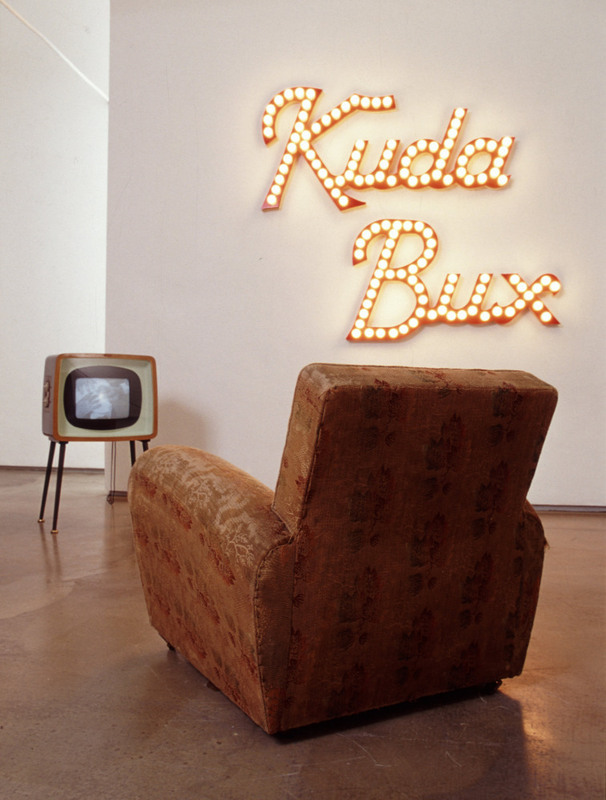 The installation Kuda Bux takes the form of an open set referencing the theatrical nature of Bux’s performances and comprises a number of components including illuminated text, video and gathered and constructed props. 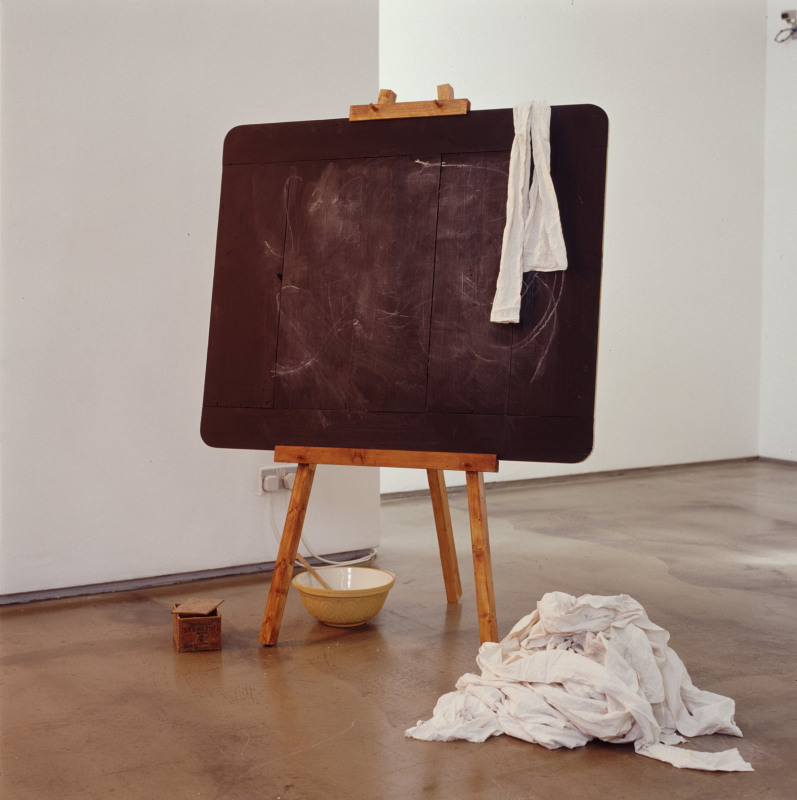 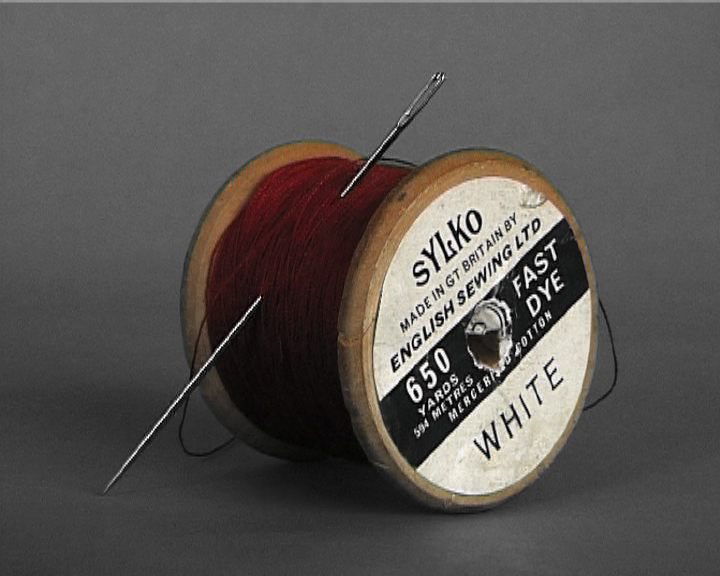 Working from archival photographs, props such as Kuda Bux's blackboard are reconstructed. 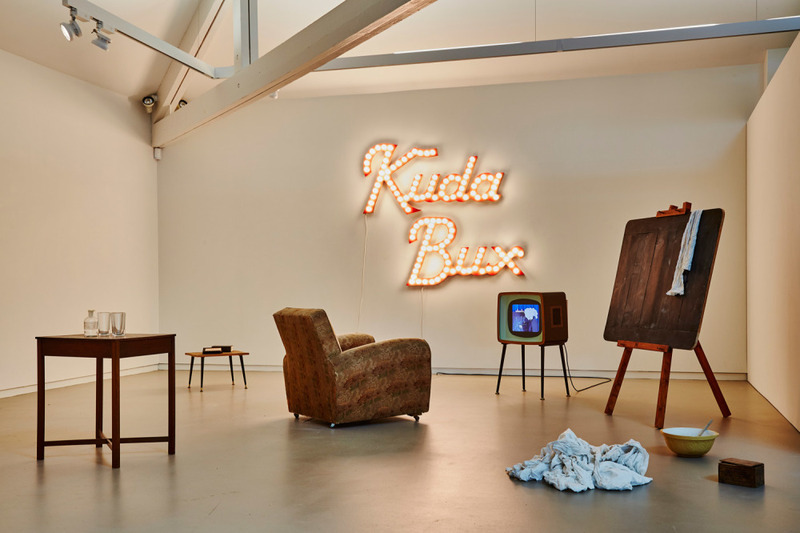 Viewed from a 1930s armchair Kuda Bux's acts are restaged and played through a 1950s television within a theatrical open set. 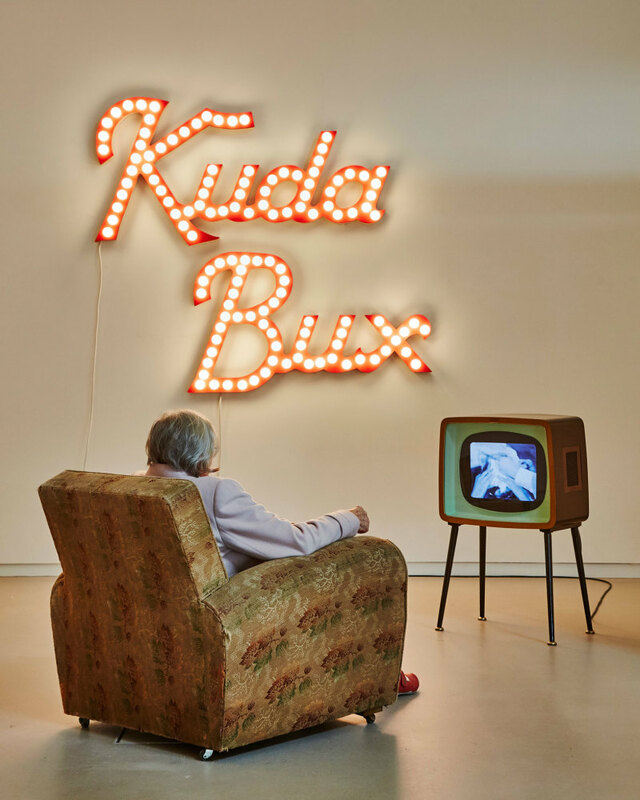 Kuda Bux explores the phenomenon of eyelss sight. 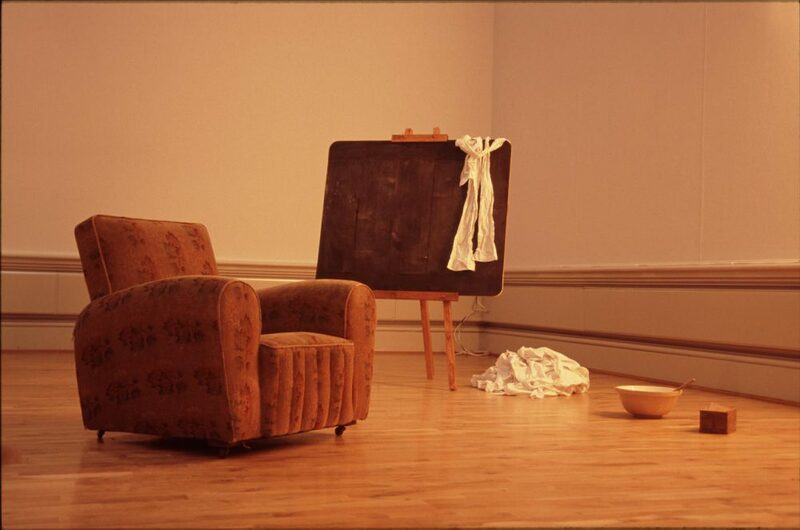 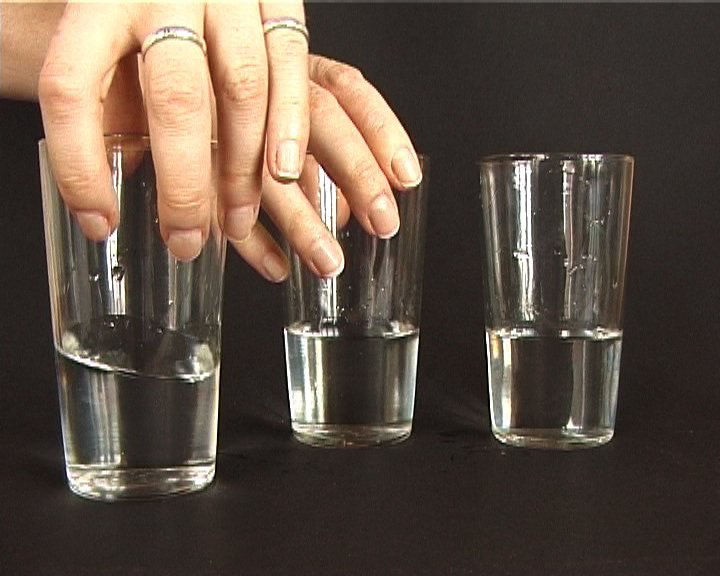 Winner of Perspective 2003, Ormeau Baths Gallery, Belfast. 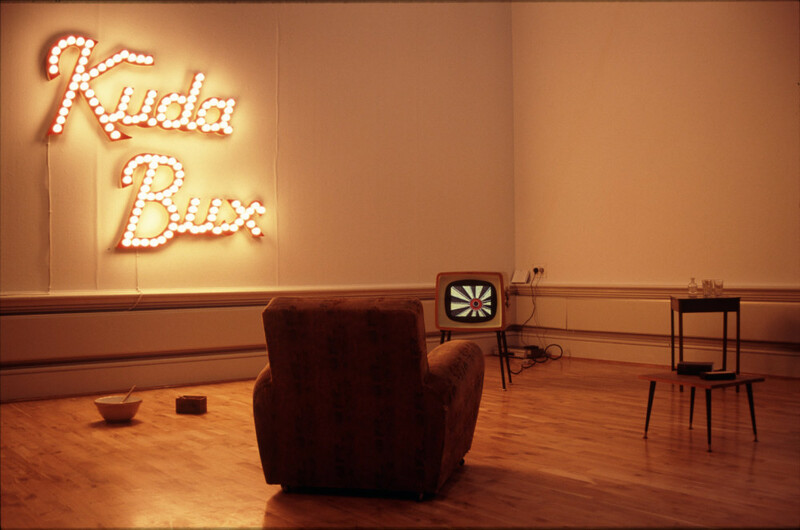 Curated by Enrqiue Juncosa, then DIrector, IMMA, Dublin.